Back pain specialists near Miami may recommend spine surgery for patients who suffer from severe symptoms and do not respond well to non-surgical treatments. Going ahead with back surgery is not a decision to be taken lightly. 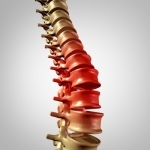 It’s strongly advised that you work closely with your spine surgeon to learn exactly what the procedure entails and what you can expect during the recovery process.